Home / In-Depth / Time can’t erase a song this strong: “Always Be My Baby” by Mariah Carey lingers on, 20 years later! Mariah Carey was a fan of the 1992 Kriss Kross hit “Jump” and wanted to work with the producer of the track, Jermaine Dupri. Carey got to collaborate with Dupri a few years later on two songs for her Daydream album: “Always Be My Baby” and “Long Ago.” In their sessions, Carey, Dupri, and Manuel Seal started by working on the drum programming, and as Seal started playing the keyboard Carey began singing a melody. Their back-and-forth would result in Carey’s 11th #1, “Always Be My Baby.” At the time it tied her with Madonna and Whitney Houston for the most #1 singles by a female artist, though over the next few years Carey would separate herself from the diva pack. At first listen “Always Be My Baby” features a beautifully crafted, catchy melody and feels like the perfect song to play on a nice summer evening. Upon closer inspection, though, the song reveals itself to be about the singer mourning a lover she has let go. In naming it one of the best R&B songs on the 1990s, Complex mentioned the contrast between the lyric about a fractured relationship and the “joyous keyboard chords, the snapping beat, and Carey’s conviction that it will all work out.” That conviction helped Carey earn a Grammy nomination for R&B Vocal Performance, Female for the song despite “Always Be My Baby” not having yet been released as a single at the time voting took place. Released as the third single from Carey’s Daydream album, “Always Be My Baby” debuted at #2 on the Hot 100 and eventually moved into the #1 position for 2 weeks. The song sold 1.2 million copies and was a huge hit at radio. In fact, it ended 1996 as the #1 Hot 100 Airplay song for the year, despite never topping the Hot 100 Airplay or Mainstream Top 40 charts. 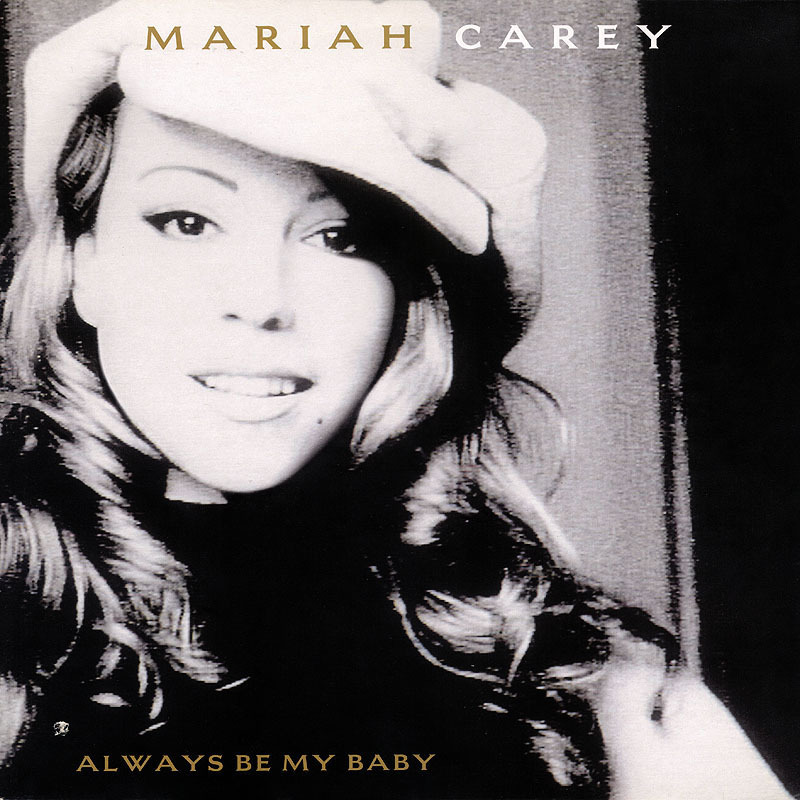 To this day “Always Be My Baby” consistently receives some of Carey’s best recurrent play. Carey directed the video for the song, which features a story line of two children at camp escaping in the middle of the night to spend time together. There are also scenes of Carey and her friends having fun around a campfire. The setting perfectly captures the breezy nature of the track, and Bustle calls the video a “classic.” Complex named it one of the best R&B videos of the 1990s and noted that the video made them regret not going to summer camp. At the time of the song’s release, Larry Flick of Billboard described the jam as a “bright and funky finger-snapper.” In the 20 years since that review, that quality is a large reason why “Always Be My Baby” has proven to be timeless. In a 2015 piece, the staff at Entertainment Weekly wrote Carey, “had us at the first ‘doo-doo-doo-dow” and in a reference to the lyrics of the song stated, “There’s no way we would ever try to shake her.” Jason Lipshutz of Billboard referenced the track’s “iconic vocal hook,” and Brittany Spanos of Rolling Stone called the song “ageless.” The strong song construction that weaves those elements together recalls the types of classic songs written in the Brill building and for Motown. More proof of the timelessness of “Always Be My Baby” can be found in the diverse range of artists who have covered or sampled the song, and in the various ways the song has shown up on social media. Female descendants of Carey like Leona Lewis and Kelly Clarkson have sung the song live, and country singer Sam Hunt performed it on his first tour. Indie rock band Fang Island also performed the song on tour, and Beelzebubs, an a capella group out of Tufts University that has been on The Sing-Off and Glee, included the song as part of their shows in 2011. Current acts like Fifth Harmony and Austin Mahone have sampled the song in their own material. Zola Jesus has said “Always Be My Baby” is her go-to karaoke song because “that song is deep in me.” Former pop starlet Debbie Gibson and Survivor winner Kim Spradlin have posted clips of them singing to it in the car on Instagram. Check back in October for more on “Always Be My Baby” and the 20th anniversary of its parent album, Daydream.